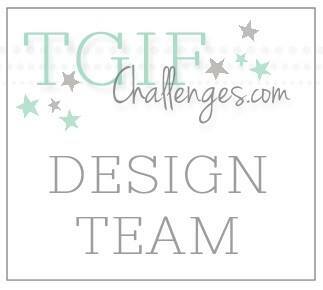 It is time for a new Artisan Design Team blog hop! Today's hop is a very special one - it is our last hop as a complete group of sixteen. We were lucky to be able to extend our time on the team through October. However, Lisa and Vicky decided not to stay on for the few extra months due to the craziness of life. These two ladies are extremely talented and they will be missed on the weekly hops. I will definitely continue to follow both of their blogs, and you should too! For this week's hop we are featuring the new Watercolor Wings Set. This stamp set is absolutely gorgeous! If it isn't already on your list, it should be! It is incredibly easy to make little works of art with this set. You can get a watercolor effect with just a few stamps and one ink pad. 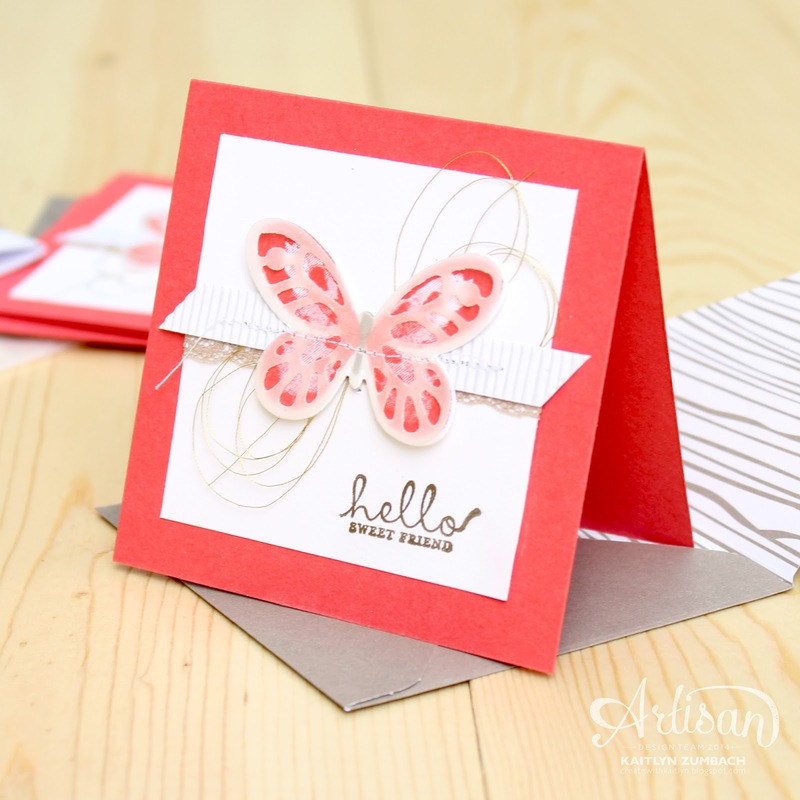 On this project is just stamped off the solid butterfly image so it would be lighter beneath the other layers. 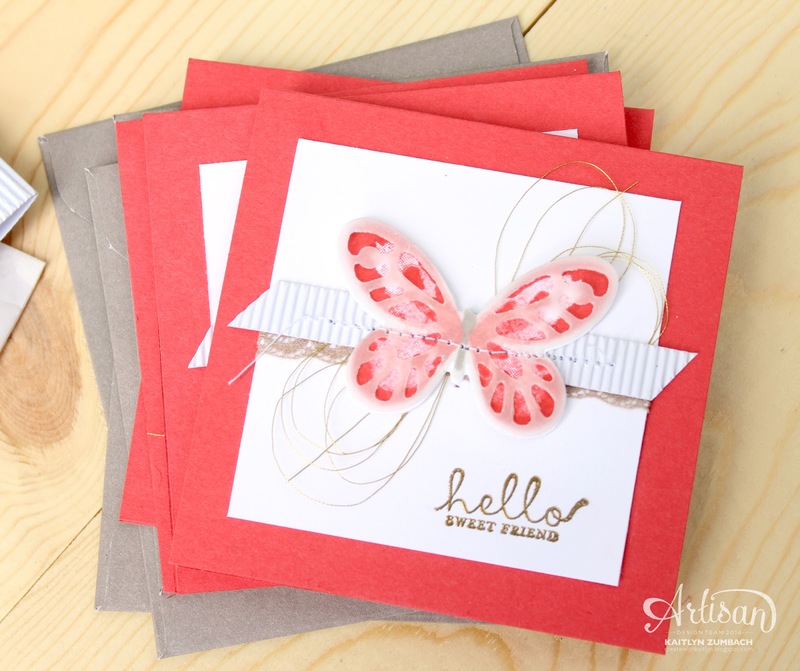 This project was inspired by my You've Got This Set and Box with the set of small note cards and the colors. As always, all of the layers make these little cards special. I have told you before, but I am going to tell you again - you need the Corrugated Paper. It is such an easy way to add a fun touch of texture. Also, the softness of the Vellum Card Stock is a nice contrast to the rough texture. Of course these little cards needed some cute packaging. I just placed them in a Sketched Dots Gift Bag and folded to be the prefect size. 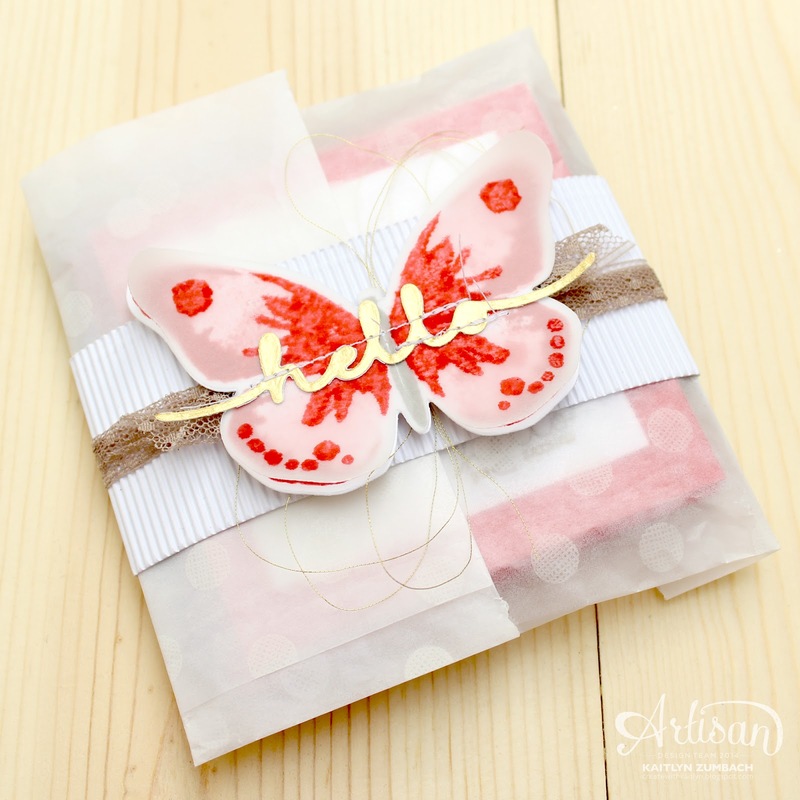 A belly band that matches the cards creates a finished and beautiful set of cards that would be a great gift. Be sure to continue along the hop with the next button below, and give Lisa and Vicky some love in their comments! What a beautiful card...and card covering! Love how you used the lace trim too. love the card packaging! and I love your new clean blog layout! Thanks Krista! I'm really happy with how my little blog refresh turned out. 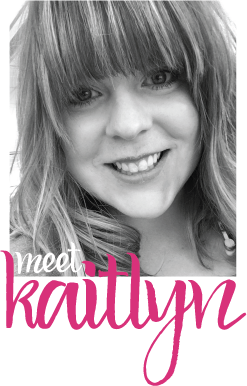 Fabulous blog make over Kaitlyn! Your cards are super cute but that packaging is a show stopper! Thanks, Mercedes! I totally agree. The packaging is the star of this project. Thanks so much Vicky. I am sending many hugs your way. Just stunning, Kaitlyn! The cards and packaging are so beautiful. Love the new look! Look the project! Love all around!!! !